Primary storage is provided by devices called memory or RAM (random access memory) located on the motherboard and on some adapter cards. RAM chips are embedded on a small board that plugs into the motherboard. These small RAM boards are called memory modules, and the most common type of module is the DIMM (dual inline memory module). There are several variations of DIMMs, and generally you must match the module size and type to that which the motherboard supports. Also, video cards contain their own memory chips embedded on the card; these chips are called video memor Whatever information is stored in RAM is lost when the computer is turned off, because RAM chips need a continuous supply of electrical power to hold data or software stored in them. This kind of memory is called volatile because it is temporary in nature. By contrast, another kind of memory called non-volatile memory, holds its data permanently, even when the power is turned off. Non-volatile memory is used in flash drives, memory cards, and some types of hard drives. To maintain the health of your computer, you need to make sure that your system's memory is free from errors and defects. If your computer starts to slow down or experiences difficulty completing once easy tasks, you may need to replace your computer's RAM. To test your RAM and determine if you need to replace it, you can use one of the many memory diagnostic tools available. You may find that your computer already has a memory tester that you can use. For example, you can use the pre-installed Windows Memory Diagnostic Tool if you are a Windows 7 user. Alternatively, you can select from a number of free memory diagnostics online, such as a M2K MemScope and Memtest86. Any memory diagnostic test that you select probably needs to make full, uninterrupted use of your computer's hardware. For some tests, you may simply need to restart your computer with the test scheduled to run at startup. For others, you may need to create a bootable flash drive or CD to start the diagnostic before your computer's operating system loads. 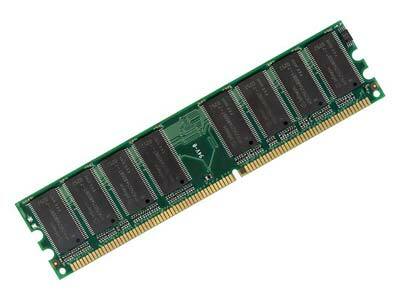 Once you have configured your computer and the memory diagnostic test, you are ready to test your RAM. If everything is set up properly, most tests should run with minimal to no input until they are finished. Note, however, that the most involved types of memory tests may take several hours to complete depending on the test's configuration and your system's hardware. Since your computer cannot run without RAM, you can find yourself with an inoperable computer if it fails completely. If the test indicates that your RAM is returning errors, then you need to replace it as soon as possible. Your RAM is an integral part of your computer, and you can test your RAM to ensure that it is operating properly. By taking advantage of one of the many free diagnostic tools available, you can identify this hardware problem before it renders your computer unusable.